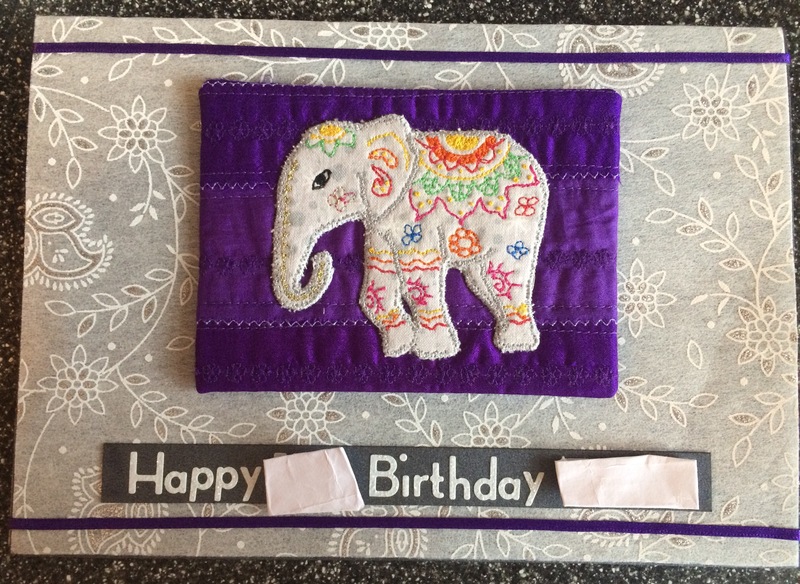 At last I can share what I’ve been doing with sari ribbons and the now finished ‘half finished project number 2 ‘ – birthday card for my daughter. The sari ribbons have been used as the background fabric to the elephant. I lay them on top of a backing fabric and stitched on top of them. The elephant has been free hand machine embroidered. The grey background fabric was mounted on a couple of pieces of interfacing. 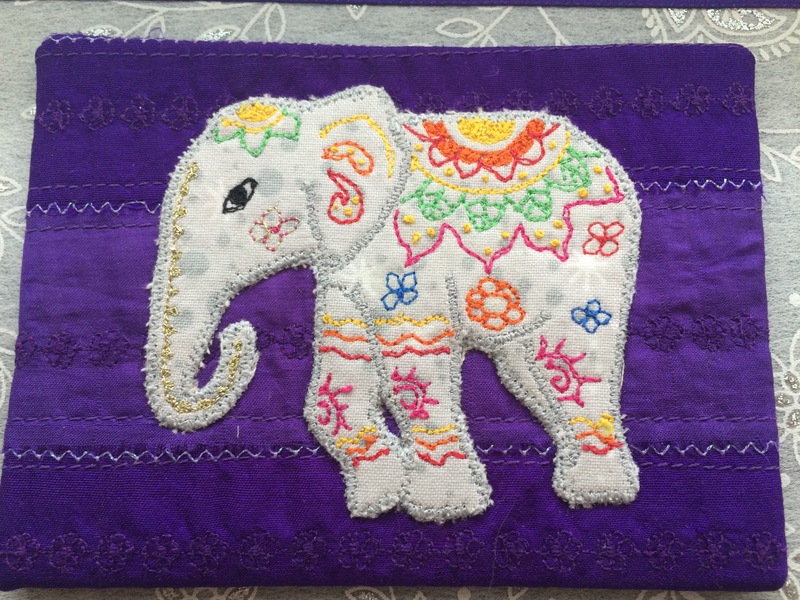 Once the machine embroidery was completed the elephant was cut out and attached to the sari ribbons.